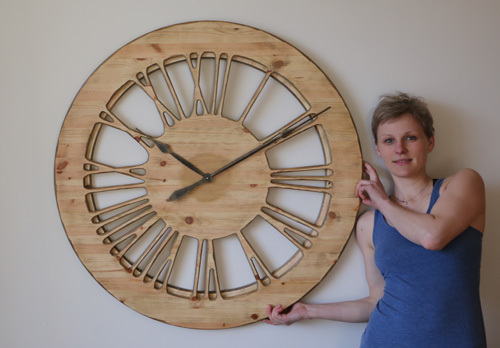 The “Light Bright” wooden wall clock is handmade from a single large panel of pine wood. It is a member of the new family of hollow clocks. 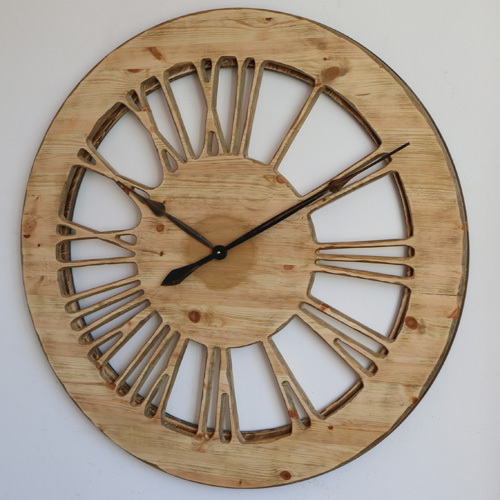 The clock face is displaying carefully crafted natural wooden Roman numerals and the wall colour is in the background. With a total diameter of 75 cm – 120 cm and its classic design, the “Light Bright” will infuse your surroundings with the spirit of the Scandinavian forest. 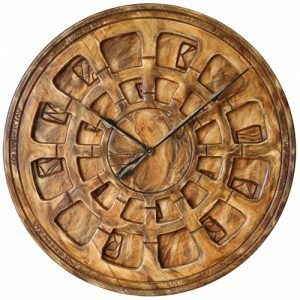 The “Light Bright” is the most incredible, natural looking wooden wall clock designed and made by hand by a passionate artist. It displays beautifully hand carved large numerals and you can see the wall between them. When you have a closer look you will notice the circular narrow rim at the back. 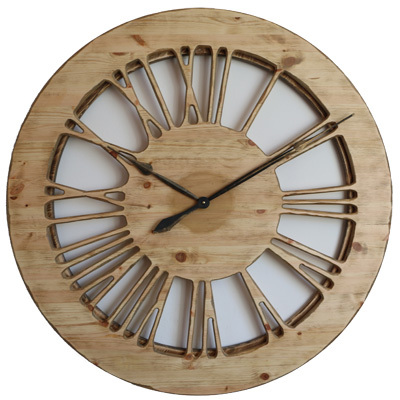 It provides three dimensional look and helps in hiding the clock mechanism. 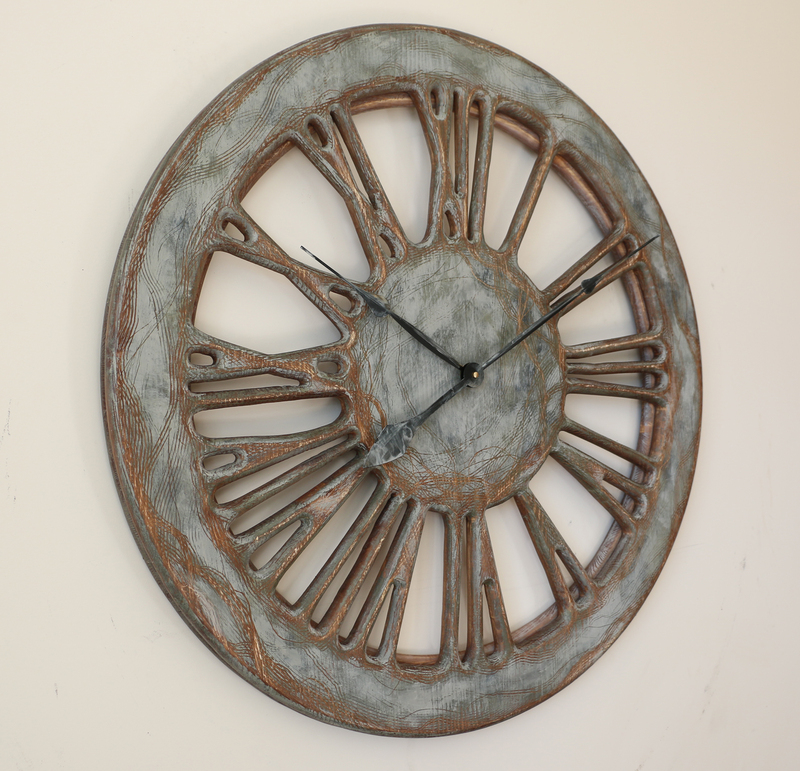 You may be surprised but this massive fabulous wall clock is fitted with battery operated mechanism. Its most powerful Quartz Sweep Movement should work up to 9 months on a single C Cell. When it arrives you need to watch this short video which is explaining how to attach the hands and set the time. 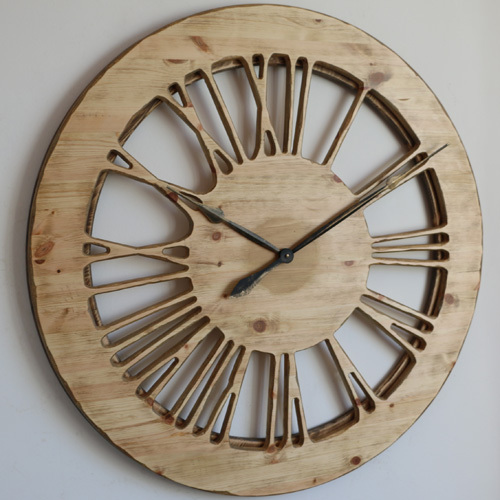 Are you looking for a wooden wall clock or simply something unique? How did you find out about Peak Art Clocks? Were you looking for something exceptional to fill that big empty space on your wall? Maybe one of many thousand members of Peak Art Facebook Community told you about it? 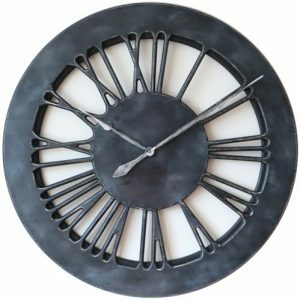 Perhaps you landed on this website because you are tired with cheap looking factory made wall clocks? Whatever the reason we are sure you will find the uniqueness you are looking for. 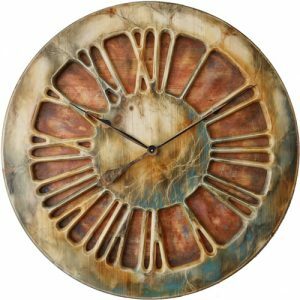 The most remarkable wooden skeleton wall clocks from Peak Art will definitely add a powerful statement to your dining room, posh restaurant, lavish office space or even luxury penthouse apartment. Wherever you plan to display those stunning pieces of art just make sure to stay away from heat and moisture sources. They will blend well in both simplistic, natural style as well as more contemporary and sophisticated interiors. 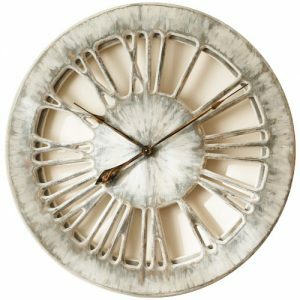 If you want to impress your guests and visitors then our statement clocks will definitely satisfy all your needs. Don’t follow old trends and challenge accepted thinking when it comes to home decoration. As you can see the clocks don’t have to be simply time telling devices. 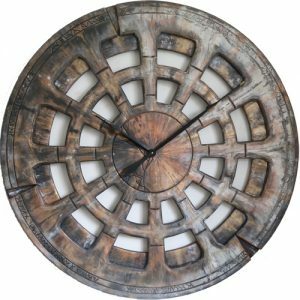 They can be the most impressive wall decoration elements too!